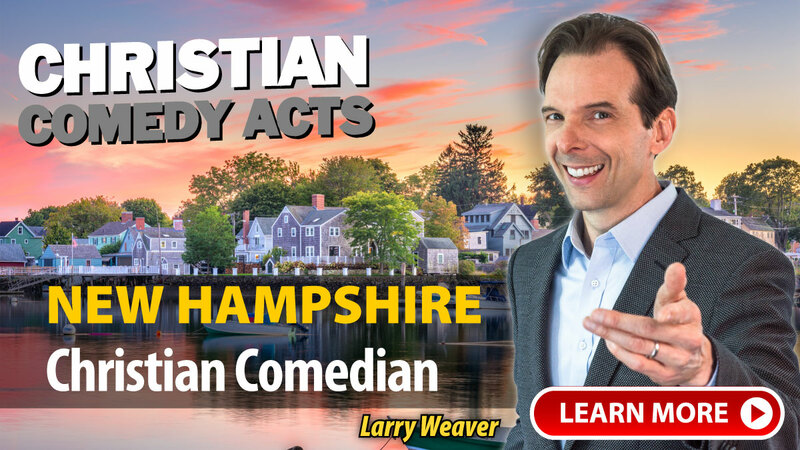 Christian Comedy Acts helps you find local Christian comedians, Christian speakers, Christian magicians, Christian ventriloquists, and top clean comedians in the New Hampshire area. Find Christian entertainment for your church fundraiser, banquet, outreach or ministry event today. "I had so many positives said about Lyndy, we will definitely want him back. The students loved him as much as the adults. Thank you." A few of the towns these nationally-touring Christian Comedians have performed in include: Ashland, Beatrice, Bellevue, Columbus, Crete, Grand Island, Hastings, Hay Springs, Humphrey, Imperial, Kearney, La Vista, Lincoln, McCook, McCool Junction, Minden, Nebraska City, Omaha, Pender, Seward, South Sioux City, Tecumseh, West Point, York, NE and others.